Ok, maybe I have a problem, Gasto Punk has been open about 10 days and I've eaten from them three times now. They are clearly going to be one of the premier trucks in Houston from here on out. 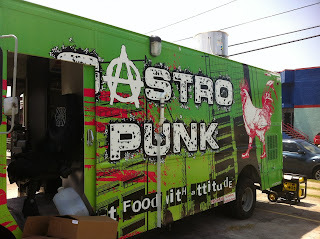 If you are food truck fan you have to try them out. 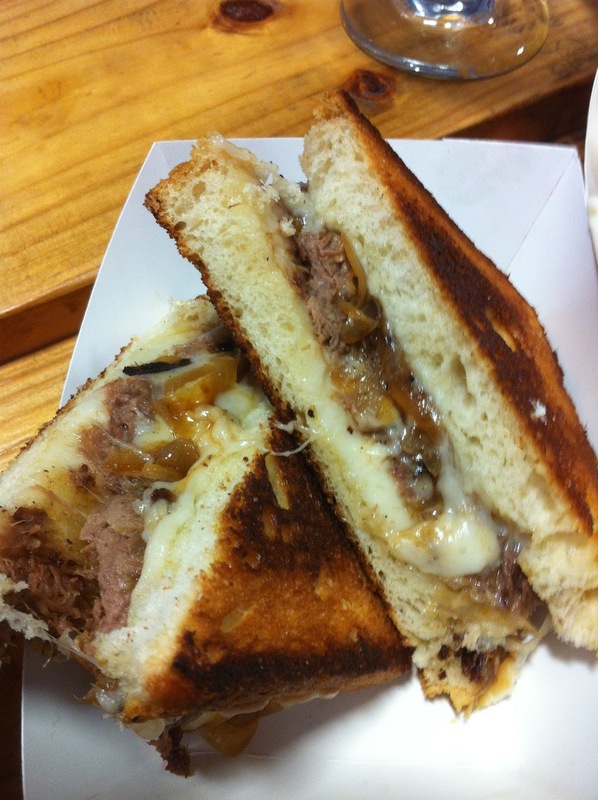 A great big 'ol grilled cheese with provolone cheese, lots of fall off the bone tender beef short rib and caramelized onions. The bread was basically your Sizzler Texas toast. A big sandwich that really fills you up, but it could use some bold tastes, like some pepper-jack cheese or maybe garlic aioli or sun-dried tomato pesto? Synopsis: Good but not as bold as your typical Houston dish. Homemade tortilla chips, a homemade 4 cheese sauce, grilled jalapenos, fresh pico de gallo, black beans, and some of the best pulled pork I've had in some time. 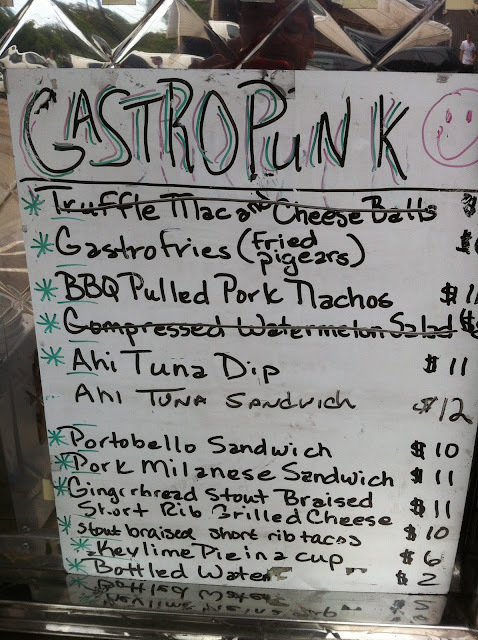 There was plenty off the dark "bark" from the pulled pork, giving many sweat crunchy, porky bites. At first glance I thought the grilled peppers were poblanos, but one bite, proved me wrong. 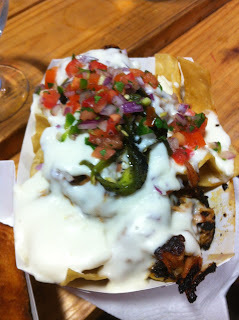 I like the grilled jalapenos, they give a smokey bite to the nachos. The cheese sauce is the same one from the mac and cheese balls I learned, just another reason to go back. Synopsis: What's not to like here! Tacos made with corn tortillas, queso blanco, baby arugula, and a whole lot of the tender braised short rib. A bit of horse radish gives the tacos some bite and works great with the beef in the ribs. This could be the best deal on the menu, three large terrific tacos for a great price. 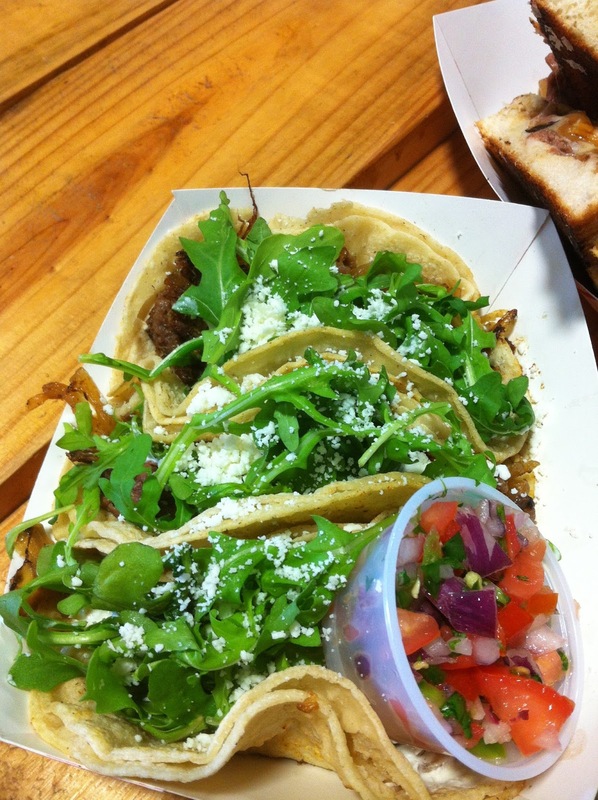 Synopsis: Terrific tacos that will fill you up. Hey I my friends I tell you something can you give me answer Always favorite. I like to say the burger is the little black dress of any menu. It might be served plain – elegant and appealing. Or it may be dressed up, although perhaps not as much as the world’s one of most beloved foods. The flavours are endless and they often come out delicious. If you are dedicated, a good burger might be the cornerstone of a food truck business.